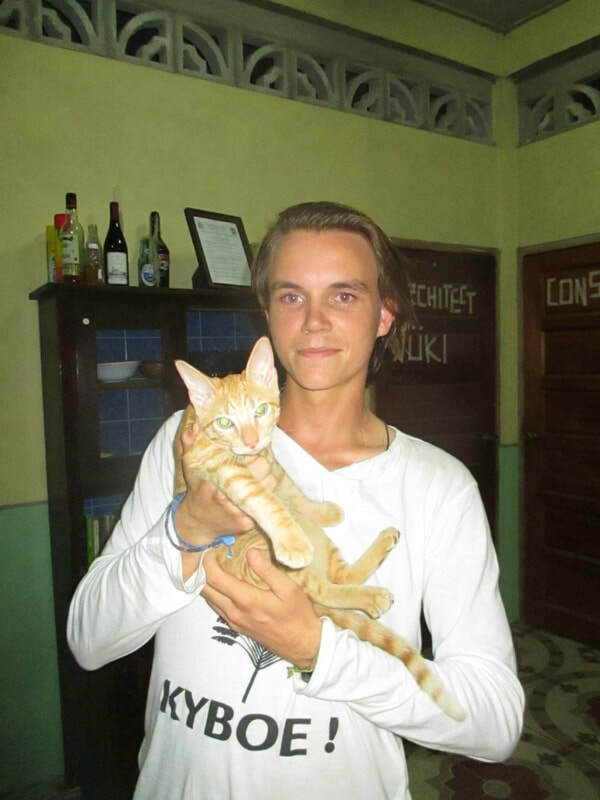 I had no idea where Sarteneja was, but there was a Couchsurfer. And he was Dutch. So I went there. To do that I had to cross the entire northern part of Belize though, as there's only one main road and therefore no logical way to get to places. 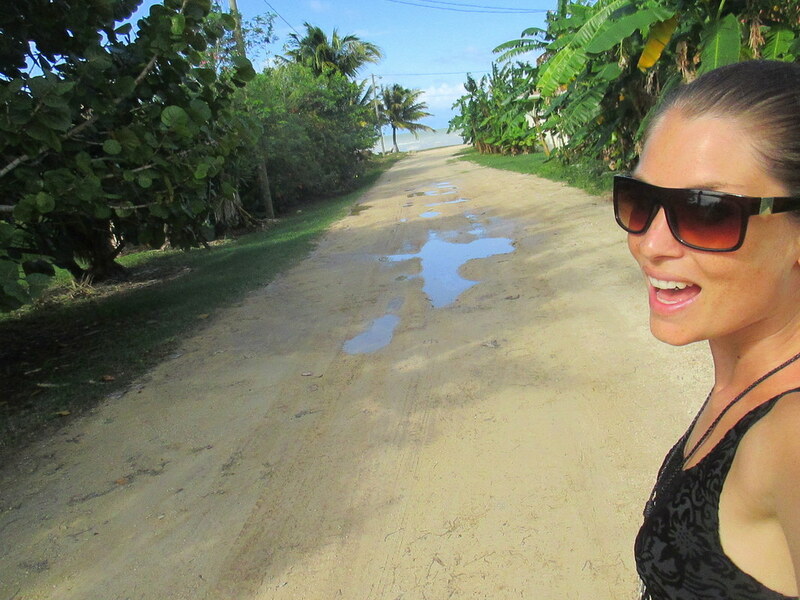 Also, as it’s mainly dirt road you have to invest time... 3,5 hours from Belize City, my host said. But after 3,5 hours I asked how much time there was left to Sarteneja and the answer was 2 hours. That's a lot of time in a rattling rundown schoolbus, flying over the road's potholes, with non-stop samba music playing on a disco-volume. BUT: You can truly say you're in the middle of nowhere where hardly any tourists travel up to. So... mission accomplished. Local inhabitants were surprised to find me in this remote fishing village. When they asked me what I did there in the first place I answered "visiting a friend". That I never met that friend before was irrelevant. I see Couchsurfing as a network full of friends I have yet to meet. Marc's address was simple: The village’s second house on the right. It felt unnatural to speak Dutch after such a long time, like I was listening to someone else's voice, but like home at the same time. 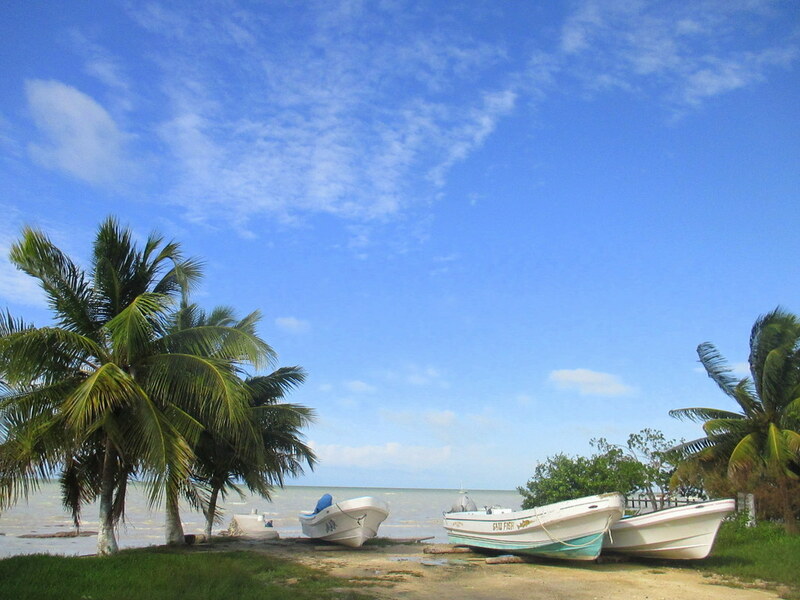 I wondered how this beautiful blonde Dutchman ended up here 'at the end of Belize'. The answer was Blue Ventures, an organization ‘developing transformative approaches on catalyzing and sustaining locally led marine conservation’ (yeah, I copy-pasted that from their website). In mainstream phrasing: He does research (mainly by scuba-diving) in order to protect marine life and biodiversity in a way that benefits the local coastal population. ​It wasn't his first time abroad though: Even though he was born in the Netherlands, he grew up in Paris and lived in Curaçao, Miami and a handful of other edges of the world. While he brewed a healthy vegan curry I got acquainted with Jean Cousteau, the red cat they rescued from the gutter that would from that moment on follow my every move. Also in my sleep this new animal friend found it necessary to play with my hair and throw itself on my face with a fixed interval of half an hour, so to say that I woke up well rested would be a lie. ​Nevertheless, a day later something extraordinary happened: I put on my Nikes and sports bra (and pants and a shirt, if you were wondering) to go for a run *victory trumpets*. As for the first time in months in the Caribbean I found myself in slightly cooler temperatures, I couldn't use that as an excuse anymore. I dribbled all the way along the coast line, cooled down by the strong winds, and zigzagged through the forests. 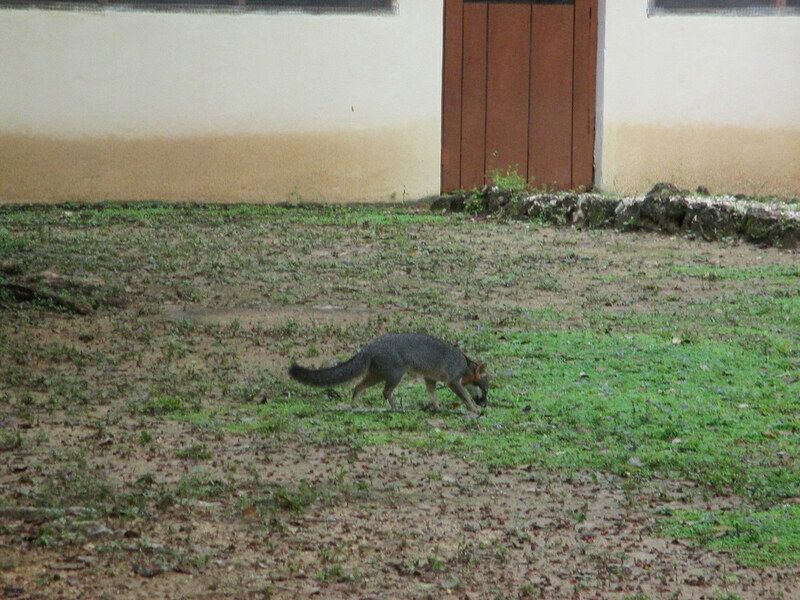 There I ran into a fox that stopped me instantly with its beauty. Coincidently I was just talking about foxes a day before, as we somehow mentioned it would be the ideal pet as it's both cat and dog in one. Anyway... I guess it was a reward providing me with an incentive for repetition. ​That afternoon I strolled around town, getting greetings from everyone I passed... most of them even knew my name and where I stayed. The news of an extranjera spreads quickly in a small community like this. I grabbed Marc's kayak and walked down to the beach, what appeared to be a swamp instead: In two nano-seconds I was stuck knee-deep in the sludge and had to somehow dig up my lost flip-flops again. Instead of watching my struggle and laugh, villagers ran towards me to help out and carry the kayak to a more suitable point of entry. Despite that, it wasn't an obvious success. The wind was so strong and the waves so high that I was basically kayaking backwards, being hit in the face by blasts of salt water. At some point there was so much water in the kayak that I slowly started sinking, so I swiftly set course back to shore. I carried the kayak back home for ten meters, after which some local men ran towards me to carry it for me all the way back into the living room. That's Sarteneja. That night Marc invited some friends over for my and his entertainment, enticed with the promise of handmade gnocchi's (that I had to make). A cheerful conclusion of a pleasant day. I had one day left and two possible day activities: Shipstern National Park or some monkey & manatee rescue center that wasn't actually meant for tourist visits. It became the first one. As visitors are rare, Marc actually had to call to let them know I would be coming. It was quite far out of town, but I decided to walk anyway, possibly catching a ride along the way. The first hour I saw no traffic at all, so I decided to optimize the situation by loudly singing along with Dutch and French ballads, until I could hitchhike the last 2km to the park office. Usually it's B$10 entry + B$30 for a tour, but as rainy season flooded most of the trails they let me in for free. As usual I had to keep on hiking, pursued by the Mosquito Gestapo. Therefore I have not too many pictures to share the park’s beauty, so you have to trust me on my word when I say the nature here is magnificent. Especially the high look-out tower providing endless panoramas is worth the visit. 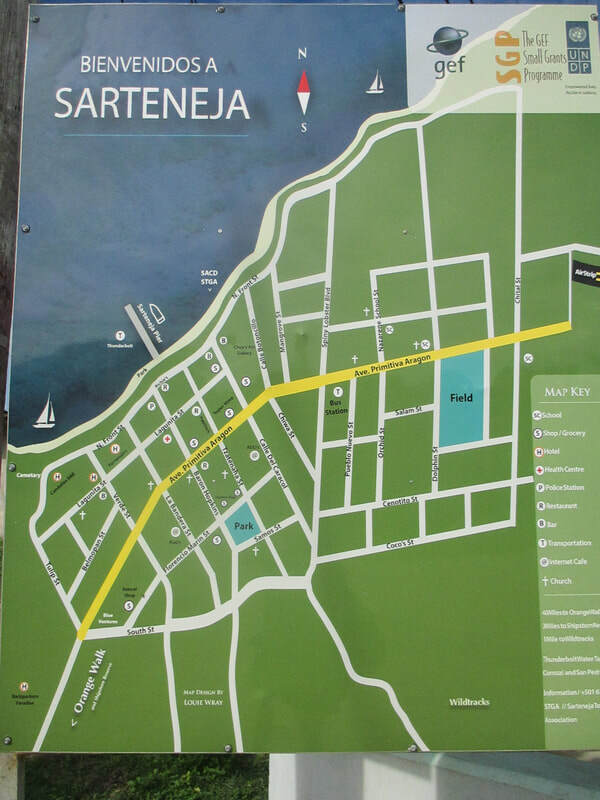 Sarteneja: You don’t always have to follow the backpackers trail in order to find some treasures.